St. James is pleased to receive His Grace Bishop Antoun for worship on the weekend of February 13th and 14th. 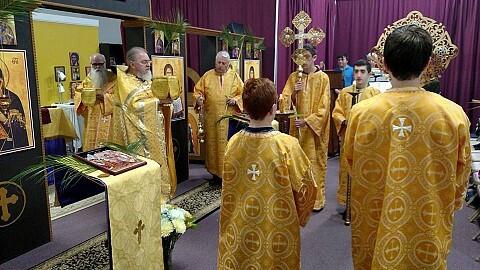 He presided over Divine Liturgy, and gave a stirring homily encouraging all as we work to build the house of the Lord. 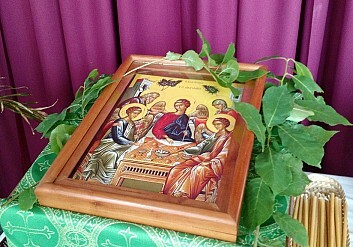 Liturgy was closed with his blessings, and he joined the congregation for a coffee hour feast! 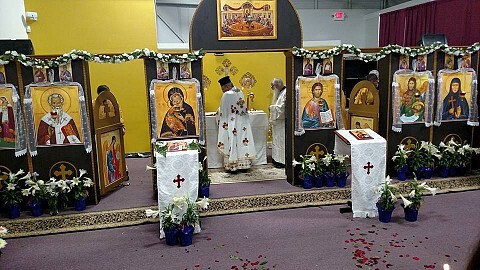 St. James Orthodox Church first began as the "Gwinnett Orthodox Mission" and had its first Divine Liturgy in a classroom at Mountain View High School in Lawrenceville, GA on March 3, 2013. 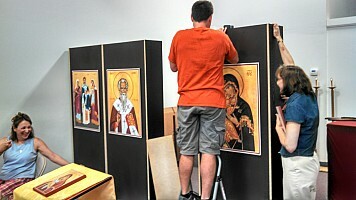 Once the mission began services, things began to move quickly. 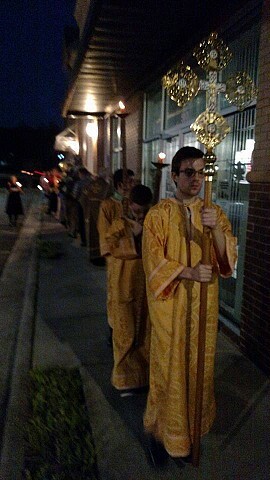 At first, we had several priests who volunteered to celebrate the Divine Liturgy, but it was not long before Fr. Steven began to serve regularly. 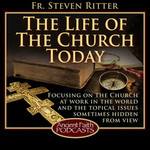 In July 2013, he was appointed to serve as priest of the mission. 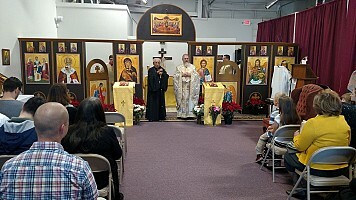 By December, we had a new patron saint for our mission and a new name, "St. James Orthodox Mission," in honor of St. James the Just, Brother of the Lord and First Bishop of Jerusalem. By that time it was clear that we needed a larger space in which to worship, and the mission rented its current location. Located in a retail shopping strip, the space was bare at first, but with many volunteers and a lot of work, a church took shape. Our last service at the high school was September 7, 2014, and the next Sunday we began worshiping at our new location on Horizon Parkway in Buford, GA. Since then, our attendance has been steadily growing and we have been able to have more services, to the glory of God. 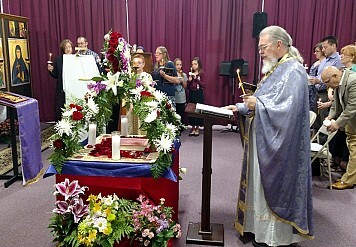 St. James Orthodox Church enjoys coffee hour every Sunday after celebrating the Divine Liturgy, but the congregation wanted to do something special for the kids before the school year resumes in August. 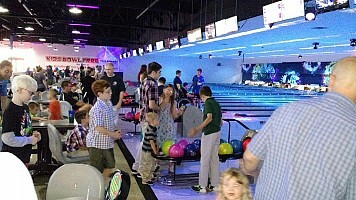 So, we took a short trip across the road to Stars and Strikes for some family fun! Nothing like the cool, crisp air of fall to spend some time outside and get to meet our neighbors! 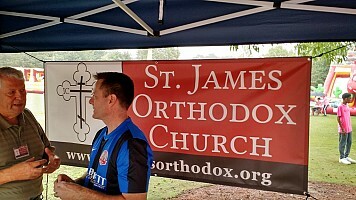 St. James hosted a booth at the annual Taste of Suwanne festival to do exactly that. 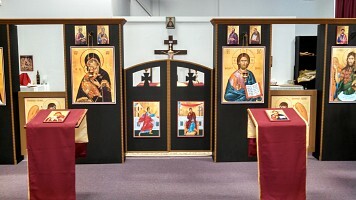 Whether you're Orthodox and just discovering our new parish, or a visitor that's interested in hearing about our spiritual traditions, we welcome all! Take a look at all the fun we had on the beautiful town center green.